Small businesses agree, Facebook remains the number one network that is necessary for their social media efforts. Yes, it is crucial that you are present there, but many small businesses fall behind when it comes to keeping it updated on a regular basis. Time constraints, resource limitations and lack of knowing what to post are often the source of a ghost page. There are many reasons to keep an active and updated Facebook fan page. Here are three extremely powerful reasons and reminders why you should have an updated Facebook Page as a small business. First and foremost, an active page shows a real company that is alive and kicking. Especially if you are selling online, the first way to check your credibility online is to check out what you are up to on social media. An active page makes the customer feel at ease and know that there is a way to get a hold of you should they need something after a purchase or during the buying process. Another reason to keep an active business page is so that you can access the incredible Facebook ad platform. You can not sponsor content or set up ad campaigns from a personal account. This also means you can not advertise on Instagram, which in my opinion, can be even more powerful than Facebook ads. When you update your page regularly you stay in front of people and on top of mind. 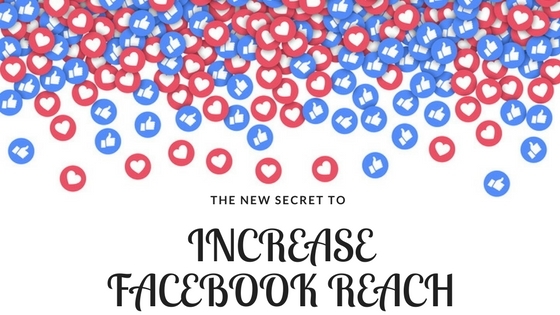 Not only does this help you build relationships with your customers and potential customers, it also allows you to increase your reach and increase engagement. These things help you drive more traffic to your site. There is a direct relationship with engagement and referral traffic. And since you really can’t have one without the other, you better start working on your Facebook presence so that you are reaching the right people with the right content. The bottom line is people want to engage with small businesses on Facebook. They want to know you are active. As Facebook begins to show the world how often you post, you can rest assured that they are more likely to follow a page that has some regularity. You are right, you must be active in the social networks if you want your company or business to grow and reach higher levels of success in your marketplace. I’m not a big fan of the social networks but I do understand one thing, and that is the fact that you must be Social in these networks. They are called Social networks for a reason, right! I do like the benefit the social networks give to the relationship between the business and customer. Positive social proof can only do great things for any business. Thanks for sharing this Stephanie!